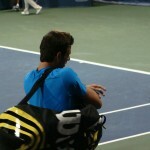 Peggy and I weathered crazy LA traffic to see a match at the LA Open (officially Farmer’s Classic) in 2011. 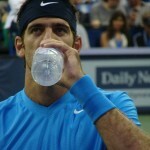 We were pretty excited about it, because the draw hadn’t been particularly compelling but we lucked out and got Delpo vs Gulbis. 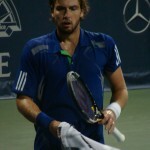 Imagine our considerable annoyance when Gulbis played brilliantly and beat poor Delpo. 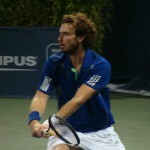 I don’t care what anyone says about Gulbis, he’ll always be the guy that ruined our good time at the LA Open. Look at him, ready to cause trouble. 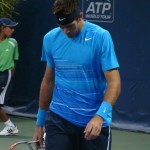 Delpo was so over it. 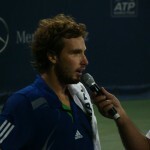 Thanks for being too awesome Gulbis. It’s just too much for me….